It’s essential to save your photo in its optimal state for large-size printing because that can really influence the photo print’s quality. Here at Xpozer we print thousands of large photo prints per year and have poured all our knowledge and experience into these step-by-step instructions for you. Please note: These steps are for photographers that want the absolute highest quality photo print. Simply saving your photo in a good file format at maximum resolution is usually sufficient for a good photo print. If you want to do it expertly, read on! Many photographers shoot and edit in RAW. This is a recommended file format because it permits you to more easily adjust your photos without negatively affecting the quality of the photo. However, RAW is not a file format that can be used for printing. When you’ve finished editing your photo, we recommend that you save it in the JPG file format and submit that format for printing. As a JPG file, your photo is saved in the maximum quality that a printer can process. While a photo saved as a TIFF file technically has more color channels and is often a larger file, we know from experience that it doesn’t result in a higher quality print. The difference between a print from a JPG or a TIFF file is not visible to the naked eye but only in file size. It’s better to save photos as a JPG file for photo wall prints. If your photo print includes vector-based designs (text, logos, drawings, etc. ), we recommend that the image be saved as a PDF file. 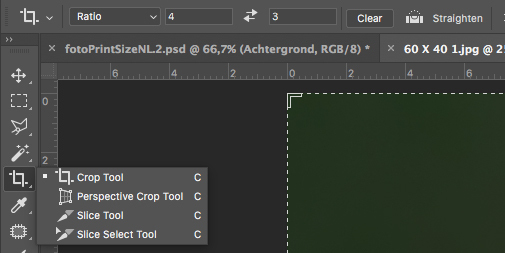 In Photoshop you can choose your desired file format by going to File > Save As. Then you can select the file format from a dropdown menu. In Lightroom, when you select File > Export, you’ll be given a complete list of file format options and can choose your preferred format. Above are the options when saving a photo in Lightroom. When saving your photo, you can also set your preferred color spaces. Different spaces offer different levels of color saturation. The most well-known color spaces are RGB (which has multiple variations) and CMYK. For photo wall prints, we highly recommend saving your photo in the sRGB color space. sRGB offers a wider range of colors, or a wider gamut, than CMYK. This means that the color saturation will be better and your wall print will capture all of the color nuances included in your photo. Color spaces can be a complex subject. If you want to know more, read this blog about the differences between RGB and CMYK at Fotolia. While the file type and color space are important when saving your photo, the resolution is even more important when printing a photo for your wall. In Photoshop always choose to save your photo at the maximum quality and file size. It would be a shame to print your stunning photo at anything less than maximum quality. ???? 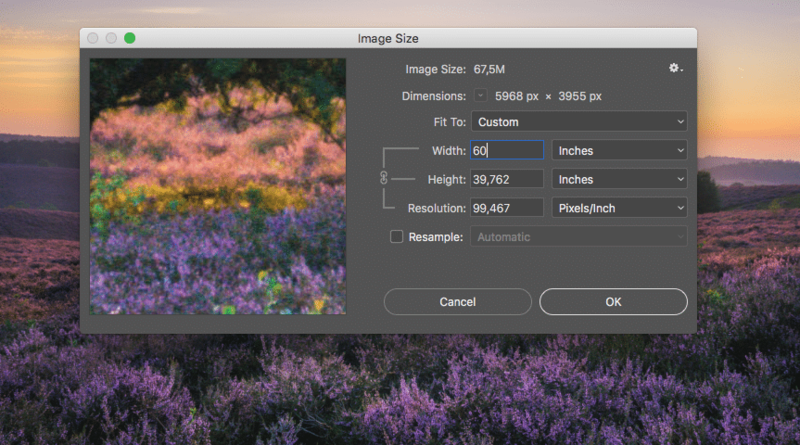 In Lightroom, under ‘Image Sizing’ select the size of photo you’d like to print (for example a 36″ X 24″ wall print). Always choose the maximum number of ppi or dpi. 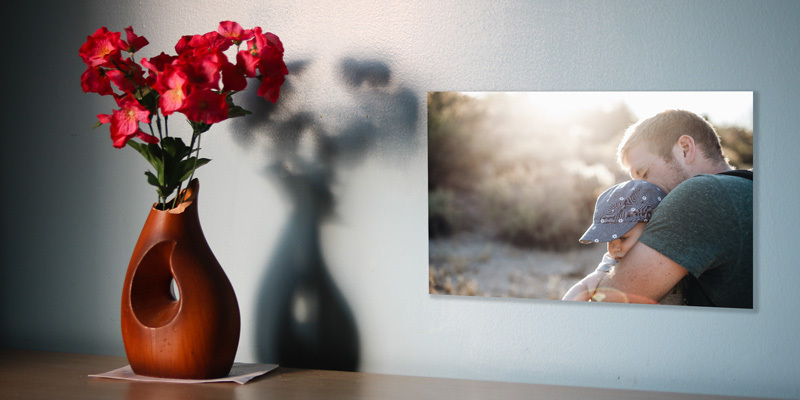 Are you transforming your digital photo into an Xpozer wall print? If so, when exporting your photo choose the ‘Matte Paper’ option under the ‘Output Sharpening’ settings and set the amount to ‘High.’ Xpozer photo prints are printed on our matte, custom-made Vivid Satin photo material. 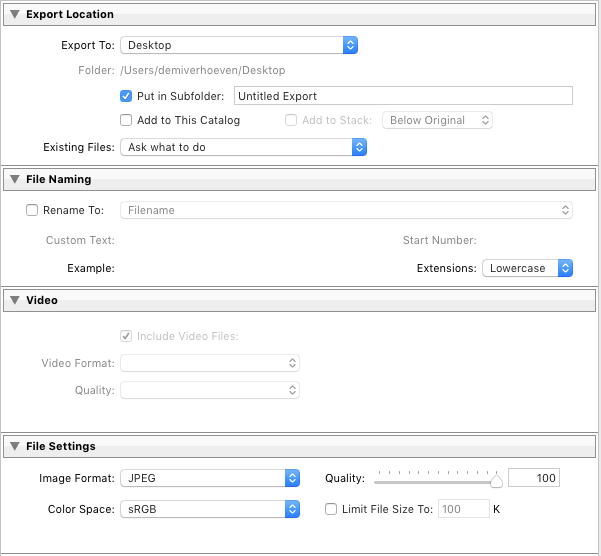 Above you see an overview of the preferred settings for exporting in Lightroom. Ready to print your photos? 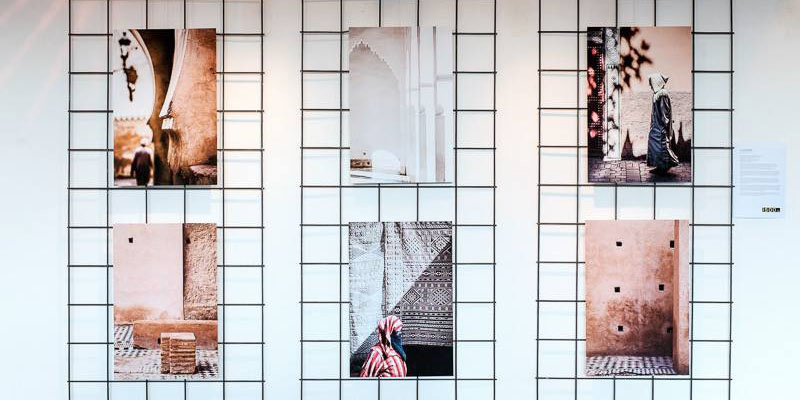 There are so many creative ways to hang your stunning photos on the wall. Use these great out-of-the-box ideas to show off your photos in an extra special way. Hanging your photos on the wall brings great energy and a personal touch to your home. You are reminded of all your photo adventures every time you see them and can easily share these adventures with family and friends. Basically, photos on your wall are simply great. When you want to do something extra creative with your photos, consider using one of these fun photo ideas. Xpozer customer Yl Jas played with the background on which the prints hang – nice! ???? Feeling stressed about having to choose between so many great photos? Keep it simple and print multiple photos as a photo collage! 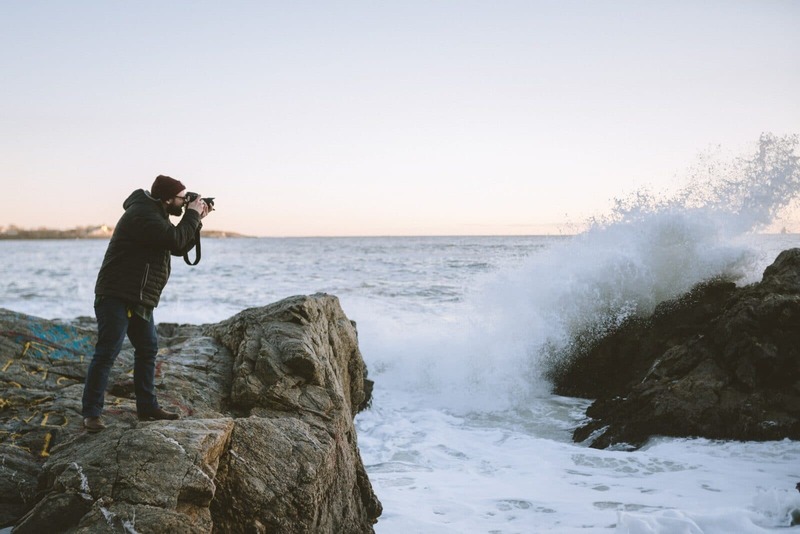 Select photos with a common theme such as your vacation, a family photo shoot, or even a city or nature park. It works especially well if all the photos have a similar color palette. This keeps the photo collage visually consistent and pleasing to the eye. Do you want to display photos with many different colors? Consider making a classic black and white collage. For a simple how-to on making a photo collage in Photoshop, you can follow the lesson “Creative with Collages” in Xpozer’s e-course or read this article. Tip: Add your favorite quotes to the collage for an extra unique effect! 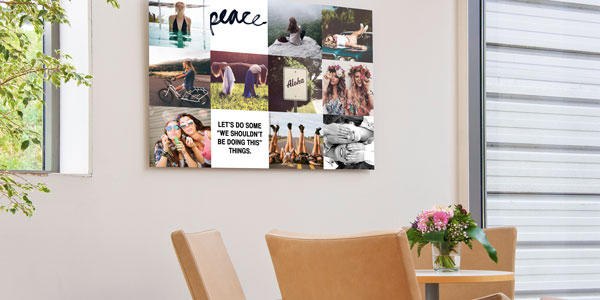 With a collage you don’t need to select just one photo and you can easily add color to your space. Do you want to change it up using only one photo? Try splitting the same photo across two, three or even four photo prints. A multi-panel photo display makes your interior just that much more attractive! Split your photo into several wall prints using Photoshop or another editing program. We explain exactly how to make a multi-panel photo print using Photoshop in lesson 6 of the the Xpozer e-course “How to Get Your Photos Off the Computer and Into Your Life” (which is included for free with every Xpozer purchase!) ???? 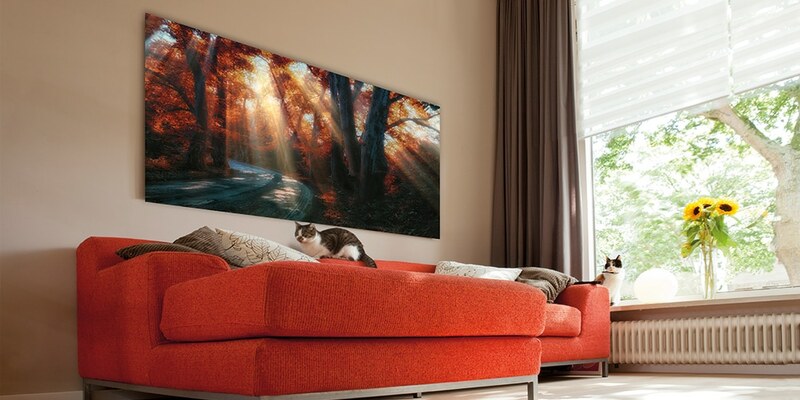 A multi-panel photo print makes even the most stunning photos more eye-catching. With a photo grid, you have endless possibilities. Hang many (smallish) wall prints together, either the same size or differing sizes. You can hang them in a neat row, although often it’s more fun to mix it up. Random arranging also makes easier to add new photos to the grid whenever you want. Choose sizes 20″ x 20″ or 20″ x 30″. With Xpozer, you can change the photos in your display without changing the layout or frames! Learn exactly how to make an awesome photo grid using in lesson 6 of Xpozer’s e-course. 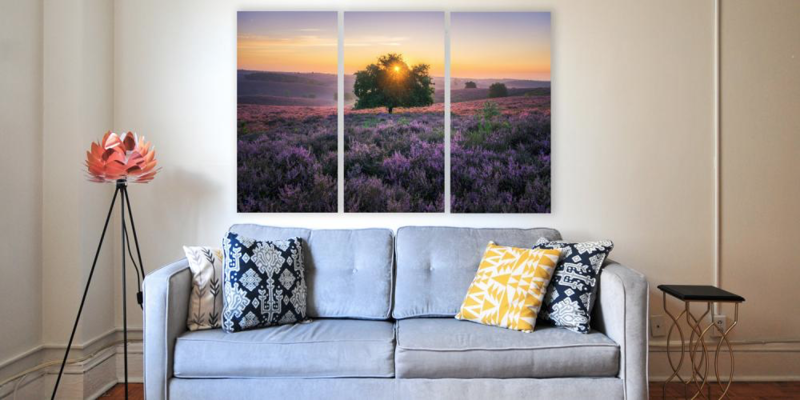 Ready to hang your photos in your home? Photos have the power to transform your interior, but it’s not always easy to know which sizes are best for which space. To create this tip, we’ve condensed the advice of thousands of customers and interior design specialists, who have used Xpozer to transform their spaces. There are standard photo sizes used by most photo printers. Some are small (think: photo book), some are medium (think: framed print), and some are huge (like Xpozer’s wall prints). For an overview of available sizes, consult a printer’s website or visit Xpozer’s list of print sizes. 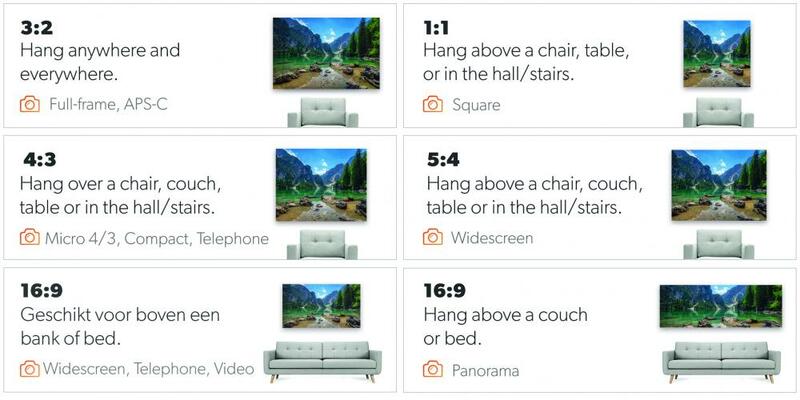 Our secret rule of thumb is to always choose a wall print that is AT LEAST 2/3 the size of the furniture above which it will hang (couch, table, cupboard, bed, etc.). 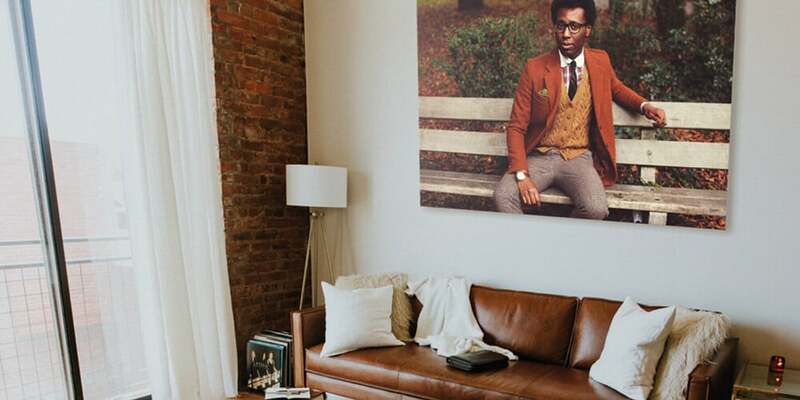 If you’re hanging your photo on an empty wall, you can go even bigger. We recommend at least 30″, but of course it’s up to you! So grab your tape measure, keep the photos you selected in mind, and let’s get started! 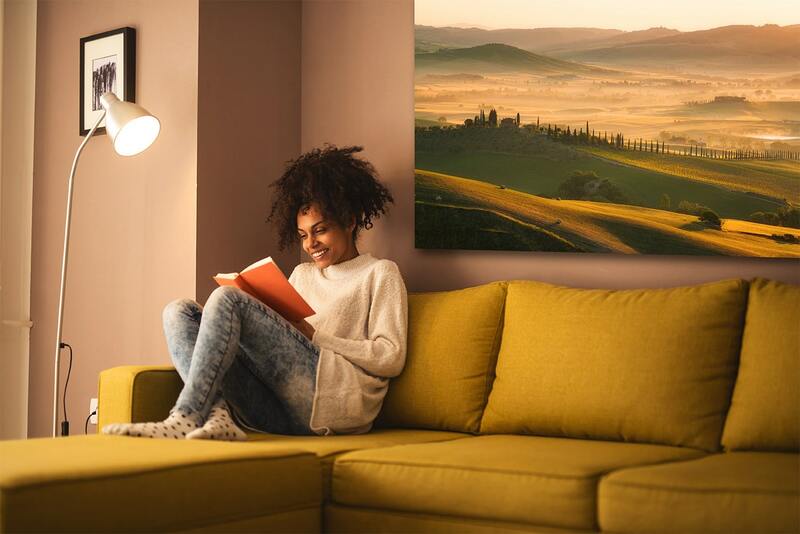 Your couch has a central spot in your living space, which makes it perfect location for showing off your wall-worthy photos. To create a spacious effect, choose a print width that is at least 2/3 the length of your couch. In general, this means your print should be at least 40″ (approx. 100 cm) wide. A photo print with an aspect ratio of 3:2 will look great above most couches. If you want a print with less height, consider a panorama print or several same-sized smaller prints in a row. A large panorama looks great above couch. You do a lot of living around your dining table and a wall print can make that space even better! Wall prints that are at least 2/3 the length of the table will bring new energy to your dining area. Use your table’s dimensions to choose the right photo size for that space. 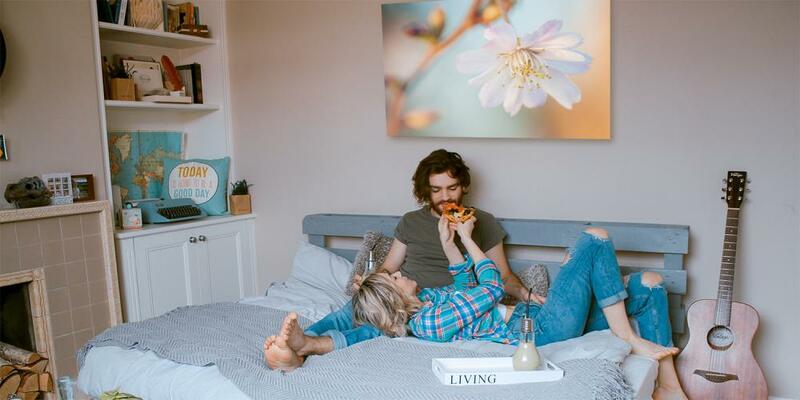 A large photo above your bed can instantly create the atmosphere you want for this intimate space. Choose a print size that is 2/3 the width of your bed, generally with a minimum width of 45″ (approximately 120 cm). With a photo subject and color palette that fit the feeling of your bedroom, you make it your personal sanctuary. 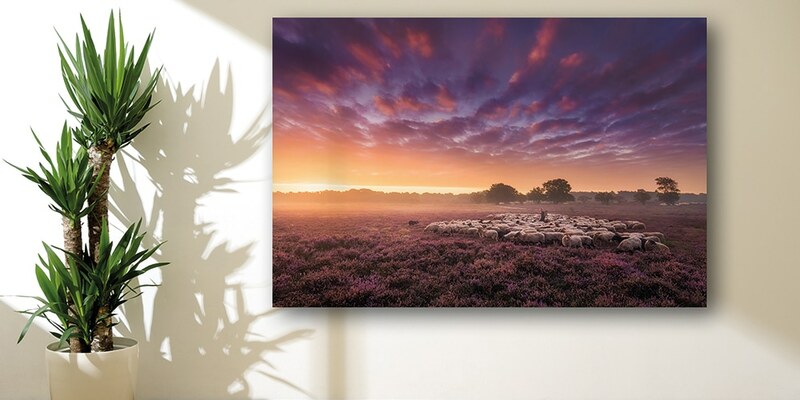 Create the perfect atmosphere with a beautiful photo print above your bed. To create a roomy feeling in your hallway or staircase, I suggest hanging several smaller-sized wall prints. 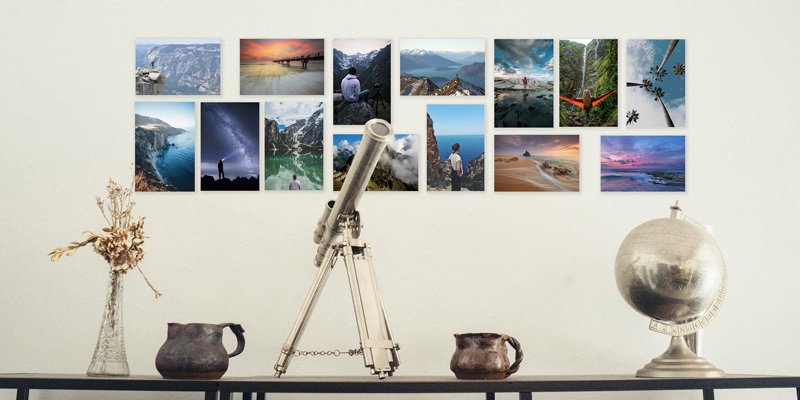 Not only will your space feel bigger, but you’ll be able to show off more than one great photo. Choose photos with a common color or theme to create a simple, modern look. 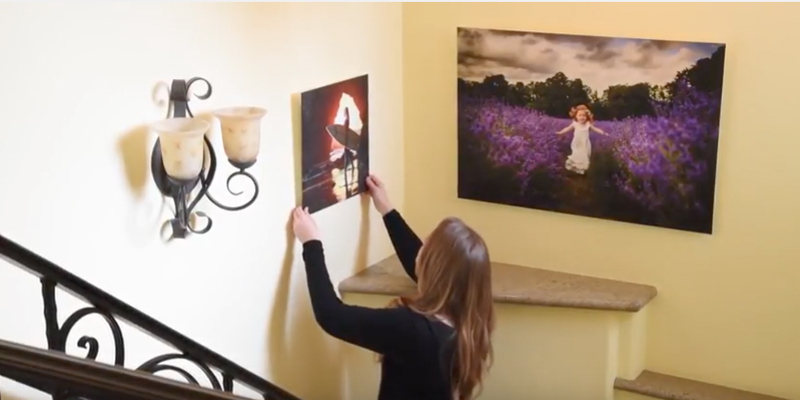 Hang multiple photos in the hall or staircase to create a spacious effect. 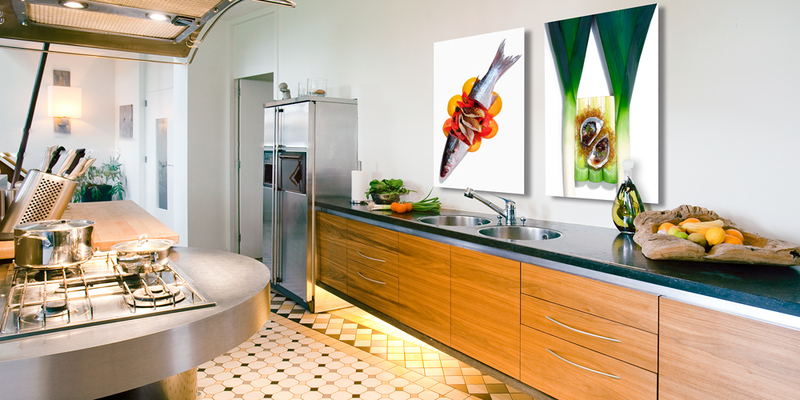 Photo walls print can add real spice to your kitchen! Above the counter or on a bare wall, choose prints that fit the space you have and complement the colors of your kitchen. Add spice to your kitchen with photo prints! Still not sure which size wall print will look best? We’ve been there, too. 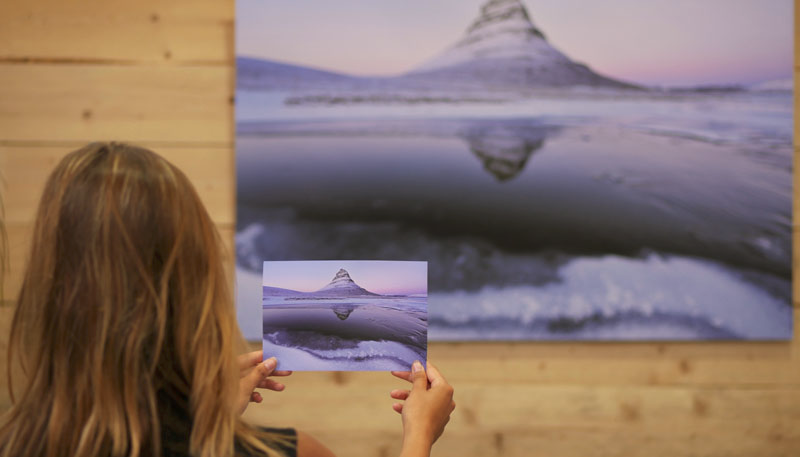 You can overcome size uncertainty by making mock photo prints in different sizes and testing them out on the wall. This easy DIY tip will instantly help you visualize the photo size that best fits your space. Use a newspaper or garbage bag to help you decide the right size. For an excellent idea of how other photographers have hung photos in their homes, check out the Xpozer Instagram and Facebook pages. Of course, you need to choose the size that fits best in your particular space, but these examples from real Xpozer fans are sure to inspire! 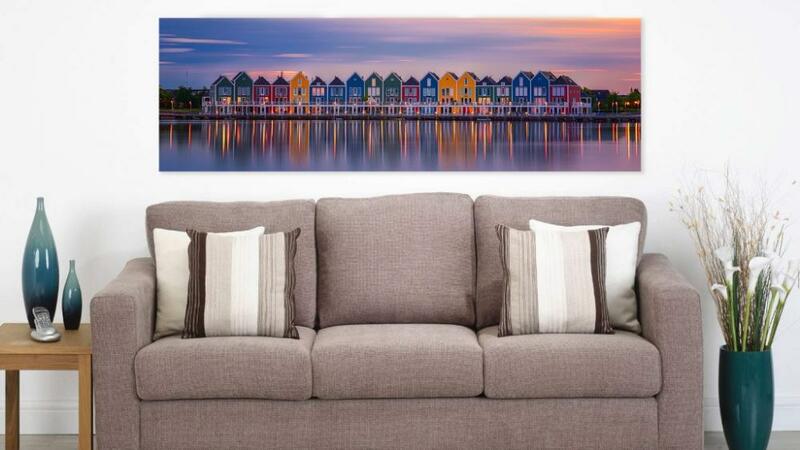 This post will help you make sure your photo’s resolution is large enough to become the stunning wall print you want to hang in your home. Physically larger – Photo wall prints are simply bigger than photos on your screen or in a photo book. This means that large photo prints require photos with more pixels per inch (ppi) than smaller photo prints. 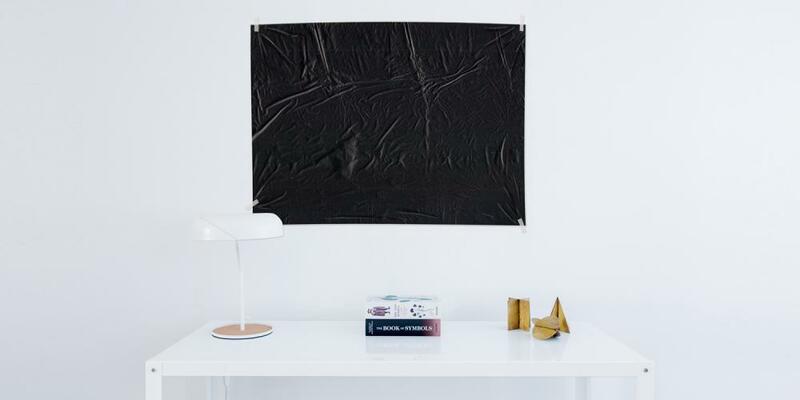 Viewed from farther away – Most likely, you don’t stand close enough to lick your wall prints. You admire view them from at least several feet away. Because the distance between your eye and a wall print is greater than between your eye and a photo book, for example, the resolution between these print sizes can also differ. 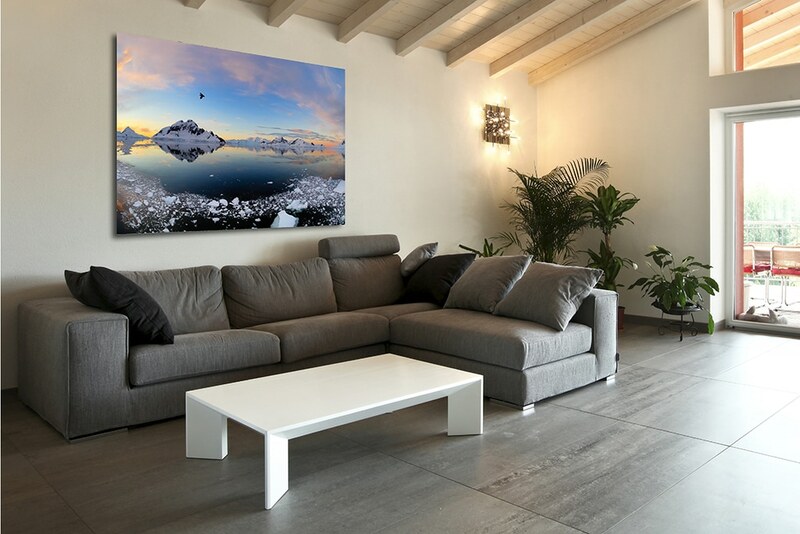 Wall prints often look great at resolutions lower than those needed smaller photo prints. Before you start shooting, double-check your camera’s settings to be sure your photos will be saved at the maximum resolution. It’s always possible to re-save your photos in a lower resolution later (if you want to share them online, for example). But if it’s very hard to turn a low-resolution photo into a quality wall print. 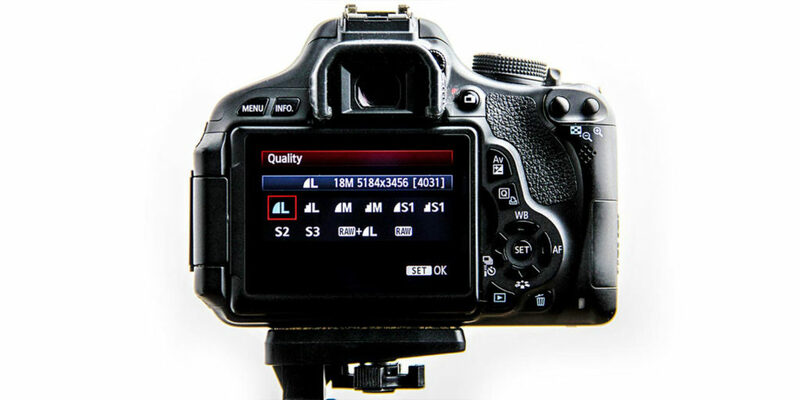 So shoot using the highest resolution possible – it will save you much grief later! Choose maximum photo resolution in your camera’s settings. Every camera has a certain number of megapixels. Cameras with more megapixels shoot higher resolution photos. 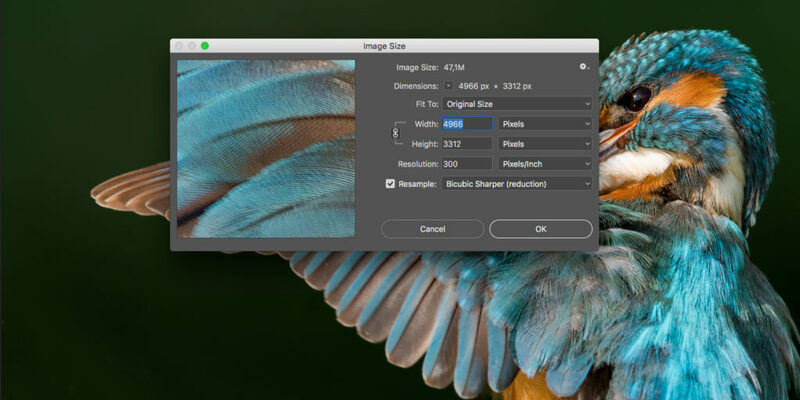 The higher the resolution, the larger a photo can be printed. Many smart phones have cameras with 12+ megapixels and SLR cameras have even more (sometimes much, much more). 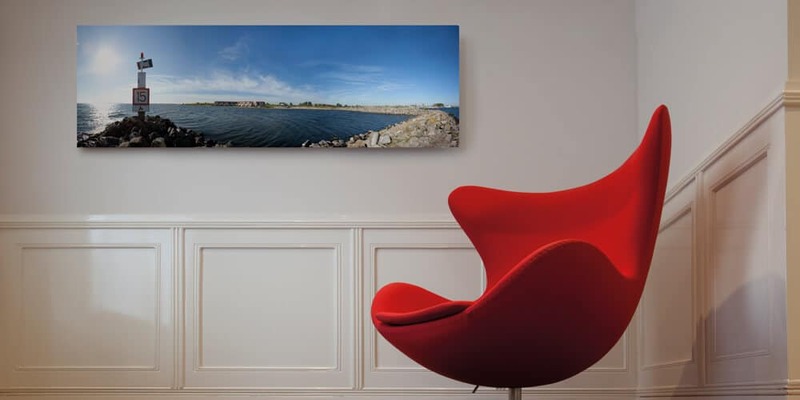 In general, even cameras with 8+ megapixels can shoot photos that will look great as 24″ X 36″ wall prints. 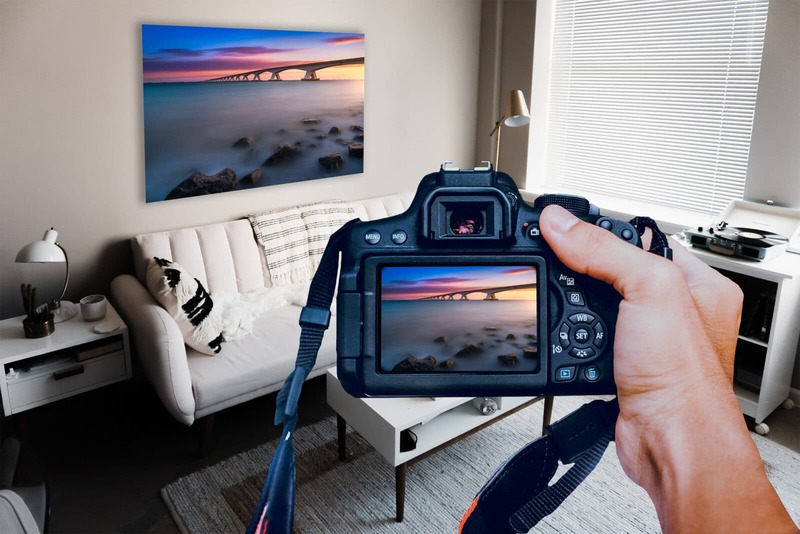 To make larger, high-quality wall photo prints, you’ll need a camera with more than 8 megapixels. 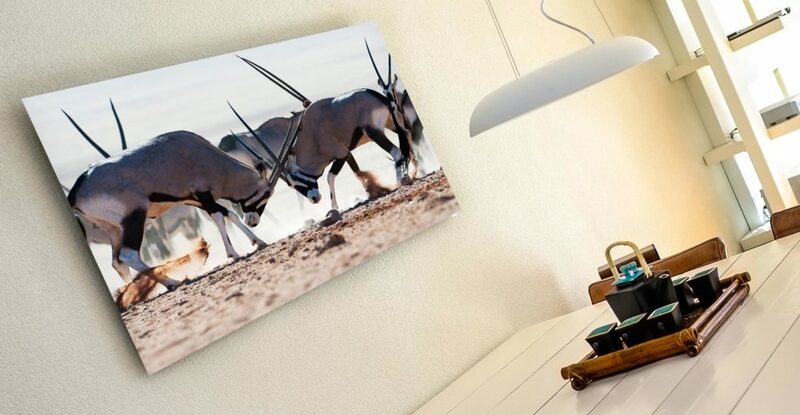 If your camera has 8 megapixels or more, rest easy – you’ll be able to print a stunning wall print! A photo’s resolution is measured in pixels (not inches or centimeters). To check a photo’s resolution, you will need to check the width and height of your photo in pixels. This information is saved in the photo’s data file. Do you use Photoshop? If so, open the photo in Photoshop and click on Image > Image Size. Make sure the photo’s width and height are set to pixels (not inches, centimeters, millimeters, etc.) This will show you the width and height of the photo in pixels. If you don’t use Photoshop, no problem! On a PC you can get this information by right-clicking on the photo, scrolling down to Properties, and checking under Details for the photo size in pixels. On a Mac, when you command-click on the photo, scroll down and click on Get Info. Under More Info you’ll find the number of pixels. It’s as easy as that! 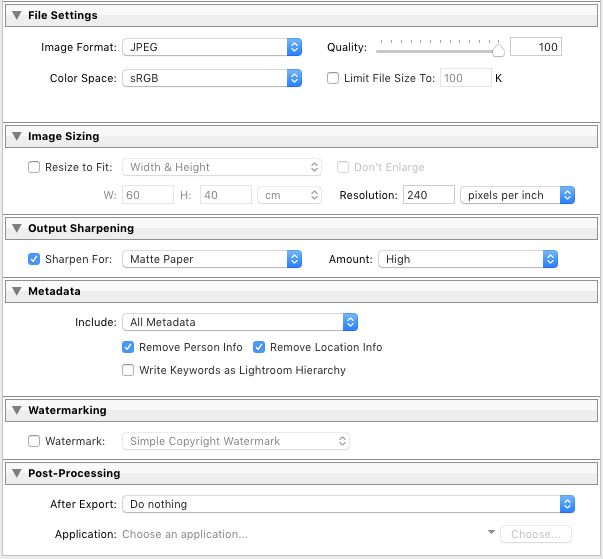 Once you have this information, you can use it to check the maximum print size for that photo. Fun fact: Billboards are often printed at resolutions as low as 12-15 ppi! Because they’re viewed from far away, they still look great even though the resolution isn’t very high. The same principle applies to large wall prints. For photo prints that are 24″ by 36″ or larger, Xpozer recommends a minimum of 80 ppi. This photo has a 99 ppi resolution so it is big enough for a 60″ x 40″ wall print. Check the resolution number (it will adjust automatically based on the width and height you put in). If the resolution is higher than 80 ppi, then your photo has a resolution that’s good enough for quality print at the size you want! Always double-check your entire photo at 100% size. Don’t use Photoshop? 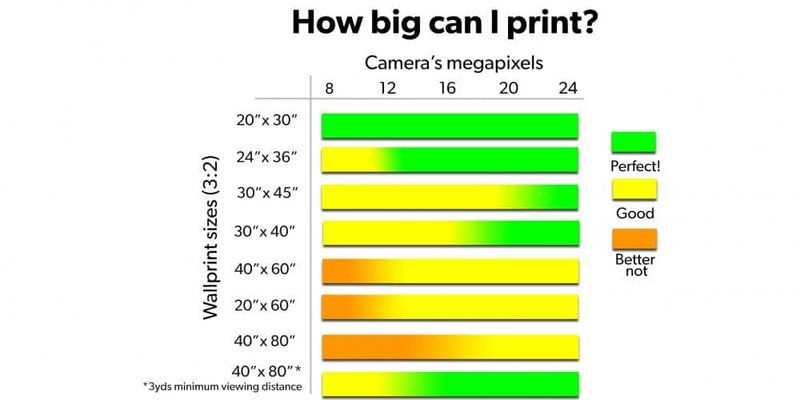 This handy chart shows how big a photo you can print based on your camera’s megapixels (assuming that you shoot at maximum resolution). Checking your photo’s resolution is an essential part going from digital photo to perfect wall print. By using the above tips, you can be sure that your photo’s resolution is high enough for the big photo print you want in your home. 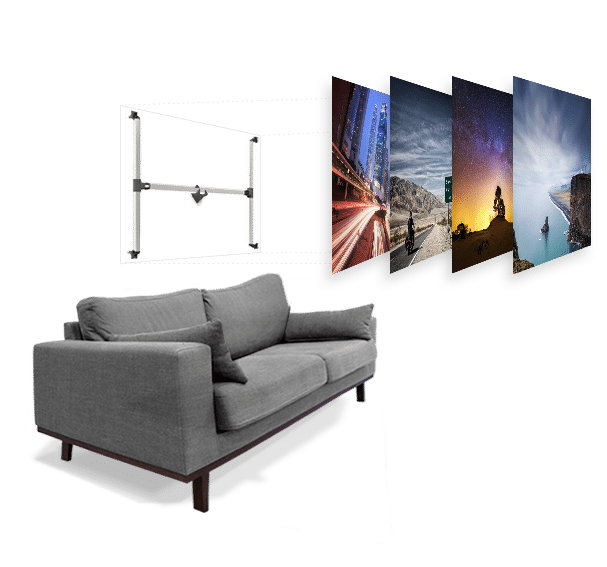 Check out Xpozer’s large selection of photo print sizes to get an idea of how big a photo print you want to hang in your home.